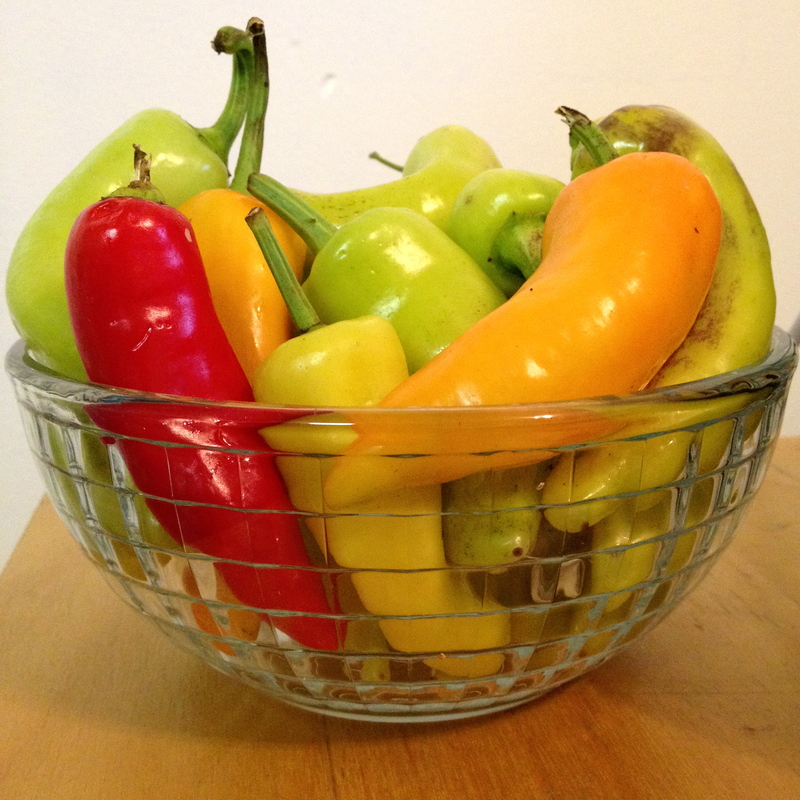 …picked a peck of pickled peppers. Morgantown has an adorable farmers market every Saturday and recently I picked up a delicious bunch of locally grown sweet peppers. There were so many I had to find some use for them before they all went bad. Just look how bright and yummy they look… of course I couldn’t pass these babies up. It was the first time canning for this girl. Needless to say I did a bit of online shopping for an easy pickling recipe/ how to. I found this step-by-step that was oh-so-simple. Check out her blog for the recipe I followed. Now, I have my very own jar of pickled sweet peppers to enjoy! 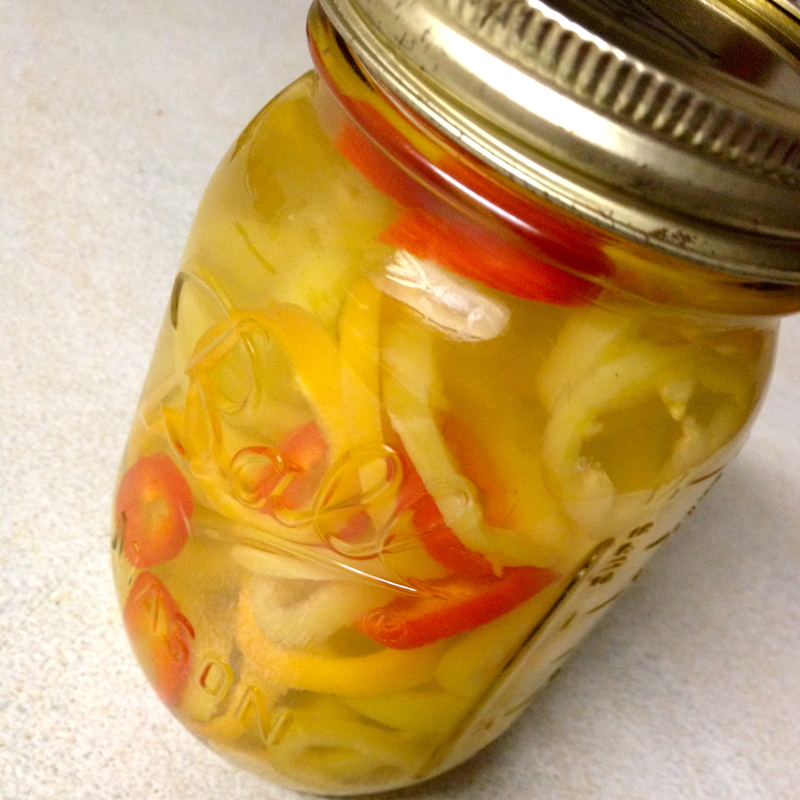 What are your favorite uses for pickled peppers?